Pub. 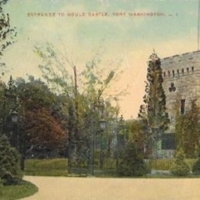 by H. Nielson, Port Washington, L.I. ANC (American News Co.) N.Y. Americhrome. Leipzig, Berlin, New York. Printed in the United States. 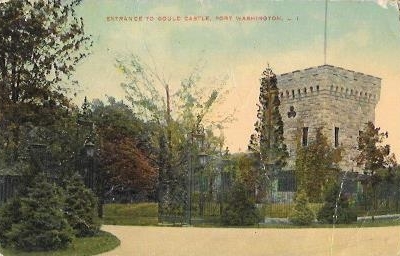 M-20855, “Entrance to Gould Castle, Port Washington, L.I.,” Hofstra University Library Special Collections: Digital Collections, accessed April 24, 2019, https://omeka.hofstra.edu/items/show/2875.